Beverly died May 8, 2018. Her family, originally from Minnesota, moved to Tacoma in the 1930’s. She was the eleventh of fourteen children born to Frederik and Eugenia Olsen and was preceded in death by all eleven brothers and two sisters. Also preceding her in death were son Eugene Lucas, and husband Gerald Dybdahl. Bev is survived by her son Carl “Bud” Lucas (Nan), grandchildren Jeff (Corrine), Amanda (Rich Wind), Russell (Kelly) all of Eatonville, Randall (Amaris) of Selah, and five great-grandchildren. Bev was a beautician in Tacoma’s north end for nearly 50 years and owned her own shop toward the end of her career. After retiring she moved to Eatonville to be close to family. She loved fishing and camping, and a life-long Christian, she deeply loved the Lord. Her gifts were singing and praying - anytime, anywhere. Special thanks to John and Sandy Wikander for their efforts in keeping Mom in touch with her faith over the years while in the nursing home. A memorial service will be held at Tacoma Bible Presbyterian Church, 6202 South Tyler, on Saturday, June 9 at 11 AM. 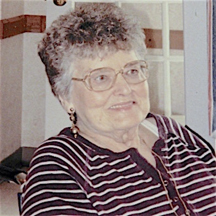 No flowers, please, but Bev would be honored by a donation to Tacoma Bible Presbyterian Church, the church family she grew up with, or Tacoma-Pierce County Humane Society in memory of her canine companions.